Named an All-America City in 2010 by the National League of Cities, Chandler, Arizona is a hotspot for young and old and is amongst the fastest-growing municipalities in the country. The city has been named Movoto.com’s second Best Arizona Suburb for Millennials in 2015 and was recognized by the Arizona Parks and Recreation Association in 2009 for the Outstanding Active Adult (50 and older) Program at the Chandler Senior Center. PayPal, Wells Fargo, NXP, and Avnet all have campuses located in Chandler, which also features a satellite location for Orbital ATK, and Microchip Technology and Motorola plants. GM recently opened a 1,000-employee IT Innovation Center, making Chandler a great place for a tech entrepreneur or computer lover to find solace. The International Right of Way – Kachina Chapter awarded Chandler as the Employer of the Year of 2013 and in 2015 WalletHub.com ranked Chandler number six on their Best City to Find a Job list. Chandler is located in the Southeast Valley, bordered by Ahwatukee, Tempe, Gilbert, and the Gila River Reservation. Thanks to the easy access to I-10, Loop 202, and the Loop 101, Chandler is a short drive away from Phoenix Sky Harbor National Airport and Phoenix-Mesa Gateway Airport. Chandler is also within close proximity to Arizona State University (ASU), the nation’s largest University and the top-ranked university in the US for innovation, preceding schools like Massachusetts Institute of Technology (MIT), Stanford University, and Harvard. Chandler-Gilbert Community College (CGCC) has three operating campuses in the city. With the South Arizona Avenue Corridor and three shopping malls in this city, Chandler makes for a great place to live and shop. The Phoenix Premium Outlets outlet mall and Wild Horse Pass Hotel and Casino on the Gila River Reservation, are a short drive away from Chandler and make for a great weekend adventure for the whole family. It is also no secret that Chandler embraces culture, with events like the Downtown Chandler Art Walk and the Chandler Center for the Arts downtown. Every year, Chandler holds a Classic Car and Hot Rod Show and even has an Annual Ostrich Festival! A non-profit organization based in Washington DC awarded Chandler Playful City USA for the tenth consecutive year in 2016 due to its family-friendly outdoor activities. Chandler features highly rated public school districts including the Kyrene School District and Tempe Union High School District and private schools such as Chandler Christian Academy, Chandler Preparatory Academy, and Valley Christian High School. Both Forbes.com and NerdWallet.com gave Chandler third place on their lists of Best City for Working Parents of 2014. The city was also ranked in WalletHub.com’s 2014 list of the Top 5 Places to Raise a Family. 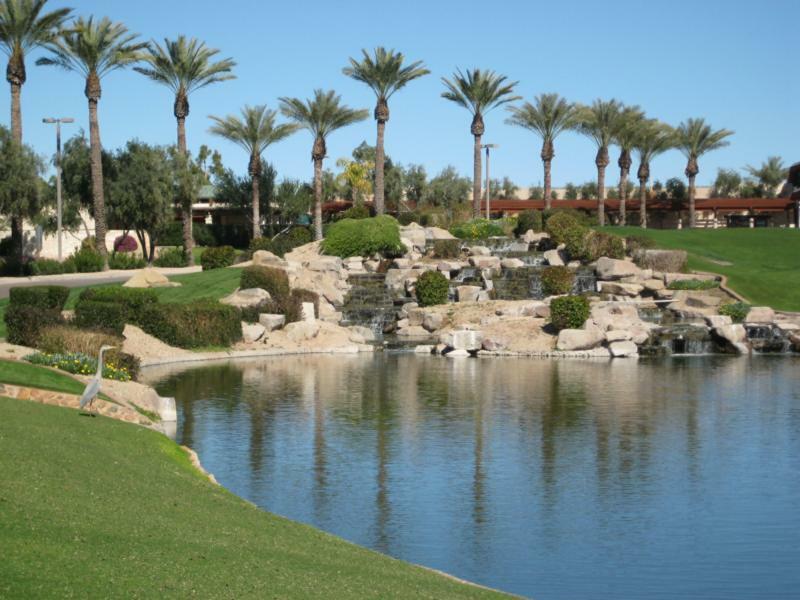 Fulton Ranch, an upscale community located in Chandler, has a large lake with a serene waterfall and fountain, with additional parks and succulent green landscaping. Many Chandler homes have a southwestern, Spanish-style design, but in some neighborhoods, you can find customized luxury homes. Ocotillo, another community in the city, offers high-end, lakeside houses as well as apartment complexes and condominiums. Within the community is the Ocotillo Golf Club, a world-class golfing facility with 27 holes, which holds regional golf tournaments and houses a ballroom for private events such as weddings, receptions, and birthday parties. Think Chandler might be right for you? Start your Chandler home search here.